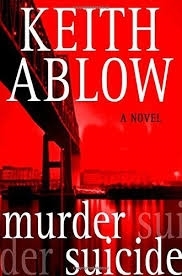 VJ Books Presents Author Keith Ablow! Keith Ablow, M.D. (born November 23, 1961) is a New York Times bestselling author and one of America's leading psychiatrists. He is a graduate of Brown University and received his Doctor of Medicine degree from Johns Hopkins School of Medicine in 1987. While a medical student, he worked as a reporter for Newsweek and a freelancer for the Washington Post and Baltimore Sun. He also became medical editor and producer for Lifetime Medical Television in New York and Los Angeles from 1985-1989. After his residency, he served as medical director of the Tri-City Mental Health Centers and then went on to become medical director of Heritage Health Systems. Ablow has testified in numerous high-profile cases, including those of Dr. Richard Sharp, Clark Rockfeller, Richard Rosenthal, Mary Winkler and Joseph Druce. 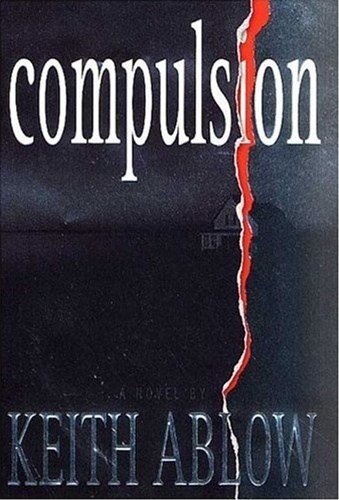 Ablow is the author of the Frank Clevenger thriller series as well a bestselling author of numerous books on developing self-esteem, overcoming depression, anxiety disorders and other psychological challenges. Author Signed Hardcover Book 2005 NY: St. Martin's First edition, first printing, fine, in a fine dust jacket, signed by author, remainder marked. Each dust jacket is protected in an acid-free archival quality acetate cover. Author Signed Hardcover Book 2002 NY: St. Martin's First edition, first printing, mint, new/unread, flawless dust jacket, signed by author. Each dust jacket is protected in an acid-free archival quality acetate cover. Author Signed Hardcover Book 2002 NY: St. Martin's First edition, first printing, fine in a fine dust jacket, signed by author, remainder marked. Each dust jacket is protected in an acid-free archival quality acetate cover. Author Signed Hardcover Book 1997 NY: Pantheon Books First edition, first printing, fine in a fine dust jacket, signed by author, remainder marked. Each dust jacket is protected in an acid-free archival quality acetate cover. 2005 NY: St. Martin's Press. First edition, first printing, fine in a fine dust jacket, signed by the author, remainder marked. Each dust jacket is protected in an acid-free archival quality acetate cover. Author Signed Hardcover Book 2005 NY: St. Martin's Press. First edition, first printing, mint, new/unread in a flawless dust jacket, signed by the author. Each dust jacket is protected in an acid-free archival quality acetate cover. Author Signed Hardcover Book 2004 NY: St. Martin's Press Book Club edition, first printing, mint, new/unread in a flawless dust jacket, signed by the author. Each dust jacket is protected in an acid-free archival quality acetate cover. Author Signed Hardcover Book 2004 NY: St. Martin's Press First edition, first printing, fine in a fine dust jacket, signed by the author, remainder marked. Each dust jacket is protected in an acid-free archival quality acetate cover. Author Signed Hardcover Book 2004 NY: St. Martin's Press First edition, first printing, mint, new/unread in a flawless dust jacket, signed by the author. Each dust jacket is protected in an acid-free archival quality acetate cover. Author Signed Hardcover Book 1999 NY: Pantheon First edition, first printing, mint, new/unread in a flawless dust jacket, signed by the author. Each dust jacket is protected in an acid-free archival quality acetate cover. Author Signed Hardcover Book 2003 NY: St. Martin's First edition, later printing, fine in a fine dust jacket, signed by author, remainder marked. Each dust jacket is protected in an acid-free archival quality acetate cover. Author Signed Bookplate. Self-adhesive label, approximately 3" x 4" (though sizes may vary slightly), signed by Keith Ablow.